The Class 57s are ex-class 47s that were given new EMD engines and Class 56 traction motors between 1998 and 2004. 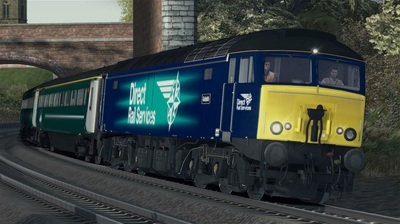 The Class 57s each cost about £300,000, which is approximately one third of the cost of a new locomotive. 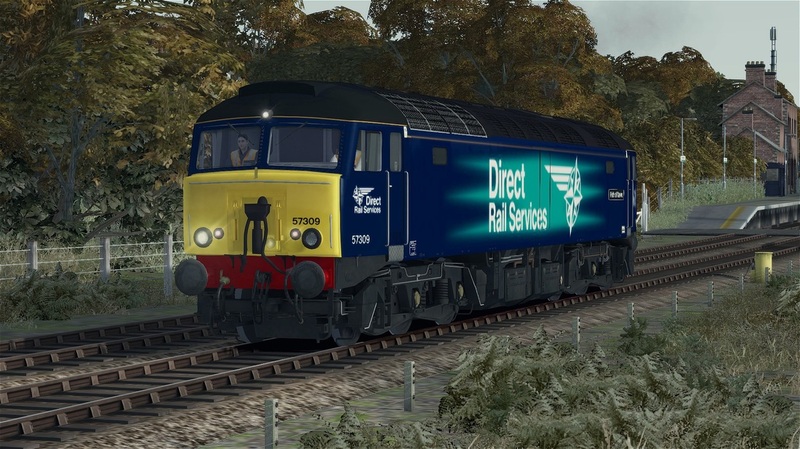 Most of the locos have ETH for running passenger trains, such as the Night Riviera with Great Western Railway. Currently, Direct Rail Services has 21 locos, nine of which are Class 57/0, the rest are Class 57/3. They are currently used in various placements around the UK, including running the GWR Night Riviera/Devon Flyer services, and running as Thunderbird rescue locomotives for Virgin Trains West Coast. 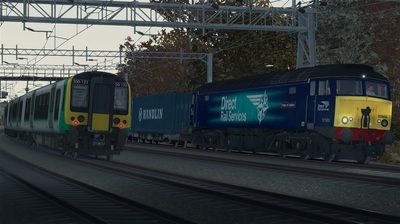 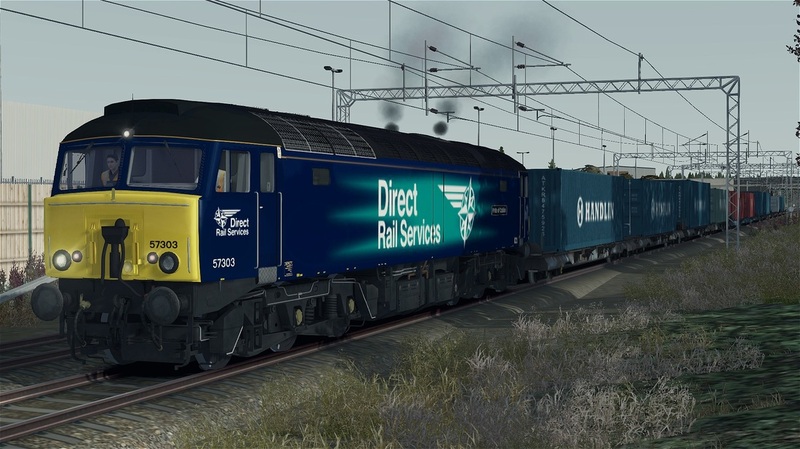 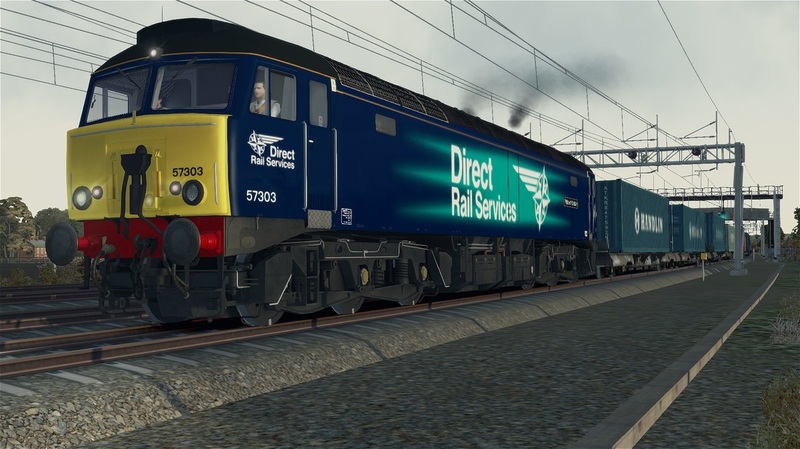 Click below to download the Class 57/3 in Direct Rail Services Flash Blue-Green livery, including correct numbering, 3D nameplates, five quick-drive consists, and a custom modelled 3D front..
You need the Class 57 Freightliner from Steam to use this reskin.